New York Times Series Explores STEM Teaching in U.S.
A new series in the New York Times looks at how STEM classes are taught in this country and reports that the system needs to be revamped. The series looks at how a flexible curriculum, early exposure to numbers, better teacher preparation and other ideas can improve students’ math and science skills, and hopefully, lead to fulfilling careers in STEM jobs. In the December 15, 2013 issue of the series, the focus is on how even the most gifted students in math and science can’t keep up. The IRC has access to the New York Times online through the ProQuest research database and receives the paper 6 days a week. This entry was posted in Displays on February 28, 2014 by nluebke. 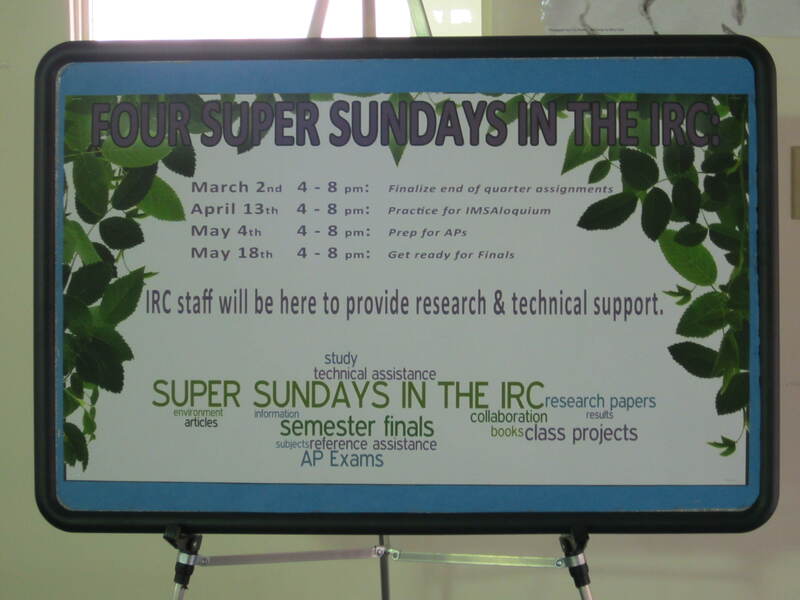 This Sunday, March 2nd, will be a Super Sunday in the IRC, when the library is open from 4:00 p.m. until 8:00 p.m., and library staff will be available for technical or research assistance. This is a good opportunity to work on papers, prepare for IMSALoquim, research class projects, prep for APs, or get ready for finals. If you’re looking to relax on a Sunday evening, stop by and check out a new book, DVD or music CD. Library staff look forward to assisting anyone who stops by on Sunday. See you in the IRC! This entry was posted in Announcements on February 27, 2014 by nluebke. Please stop by the IRC and check out the display of books and dvds related to Black History Month, which is February. 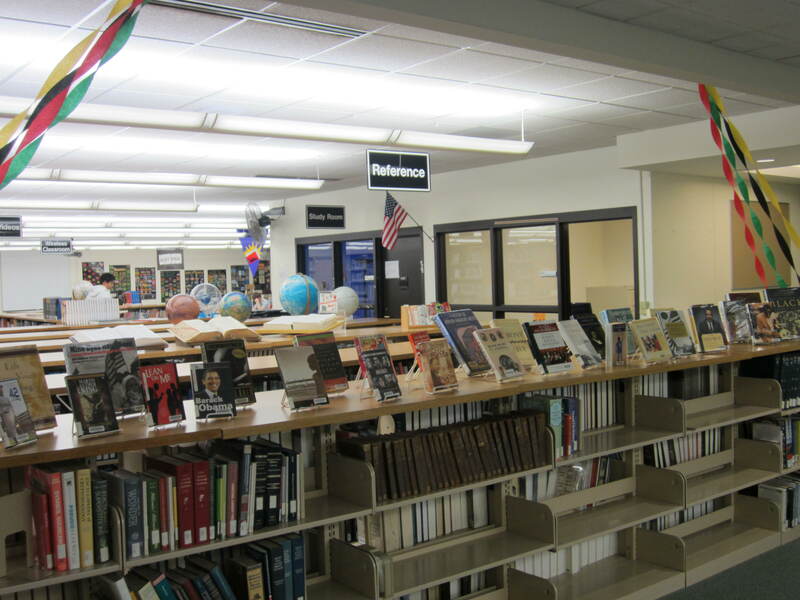 The display is set up by the reference desk and is easily accessible whether you are coming into or leaving the IRC. There’s something for everyone with a variety of topics to choose from in the fiction and non-fiction categories. We’ve gotten in some new books and dvds, so there’s a variety of beloved old favorites and brand new titles. Everything on display is available for check out and if there is a title that you don’t see, ask an IRC staff member for help. 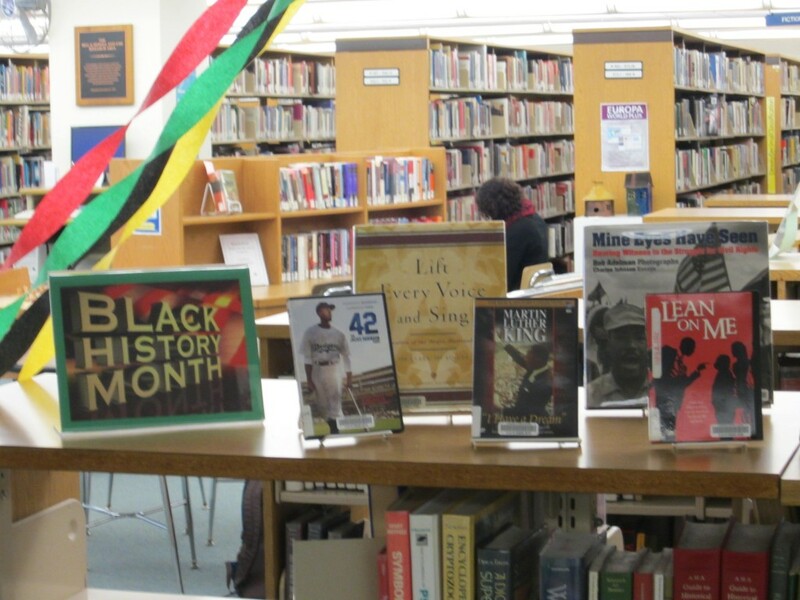 Thanks to Jeanette Clark and Connie James-Jenkin for setting up the Black History Month display. This entry was posted in Displays on February 19, 2014 by nluebke. Our new subscription to “Letras Libres,” a Spanish language magazine, has begun and the January and February issues are now available in the IRC. This magazine replaces another subscription to a Spanish language magazine which stopped publication last year. 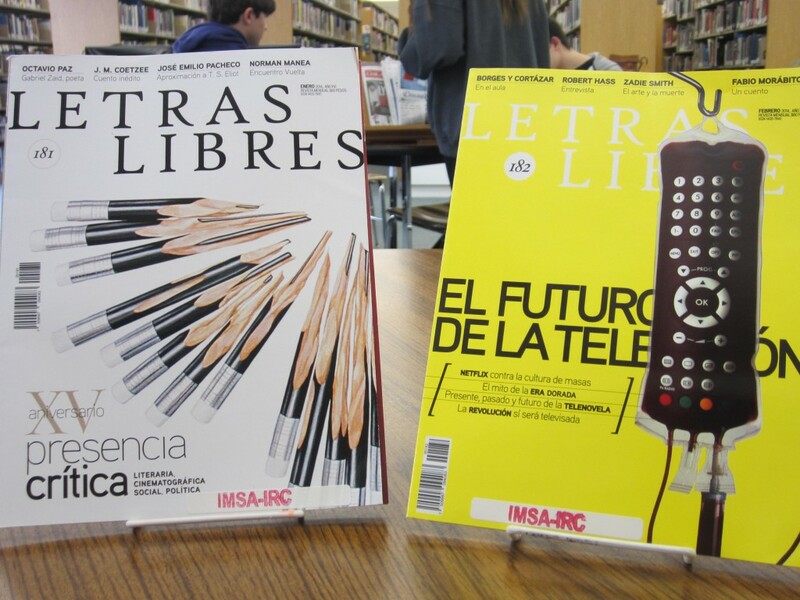 Input from IMSA Spanish teachers helped us choose the best magazine as a replacement, so come check out “Letras Libres” – we think you’ll like it! This entry was posted in Announcements on February 6, 2014 by nluebke.